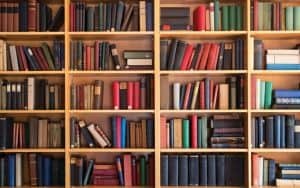 For a Halloween shindig, themed party or just for your own enjoyment, these books present collections of playful cocktails. 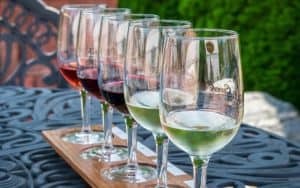 The recipes are simple enough for the home bartender, without need for fancy infusions or obscure brands, all while riffing off of the books’ themes. 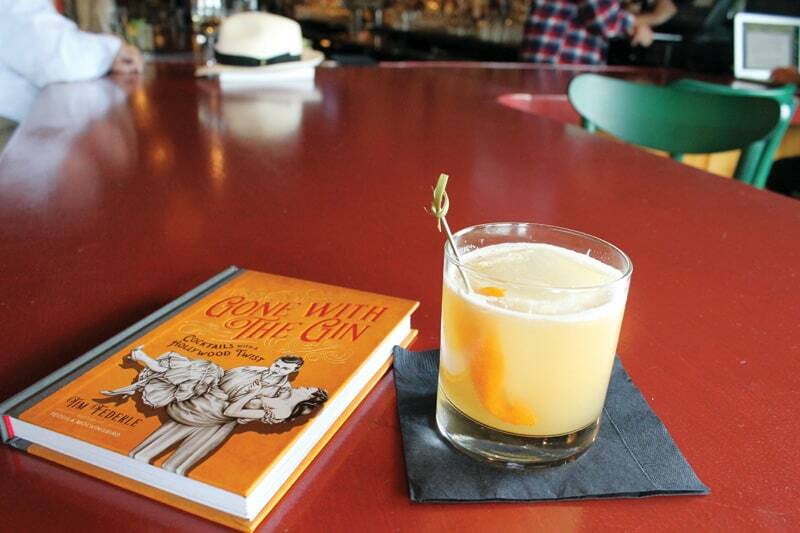 Film buffs can whip up concoctions from Gone with the Gin: Cocktails with a Hollywood Twist, by Tim Federle (Running Press, 2015). Each recipe includes the movie inspiration, year of release, director and plot description with a segue into the recipe. Sip and sing with Boozy and the Beast or The Rocky Horror Pisco Show. Shiver along with Jurassic Port, Invasion of the Toddy Snatchers and The French Concoction or laugh while imbibing The Muppets Make Manhattans, Mrs. Stout-Fire, The Big Le-Brewski or Month Python and the Stoli Grail. The book also includes movie munchie recipes, such as Grillers in the Mist and The Breakfast Cereal Club, plus movie-based drinking games. “That I can read and be happy while I am reading, is a great blessing,” said Anthony Trollope. 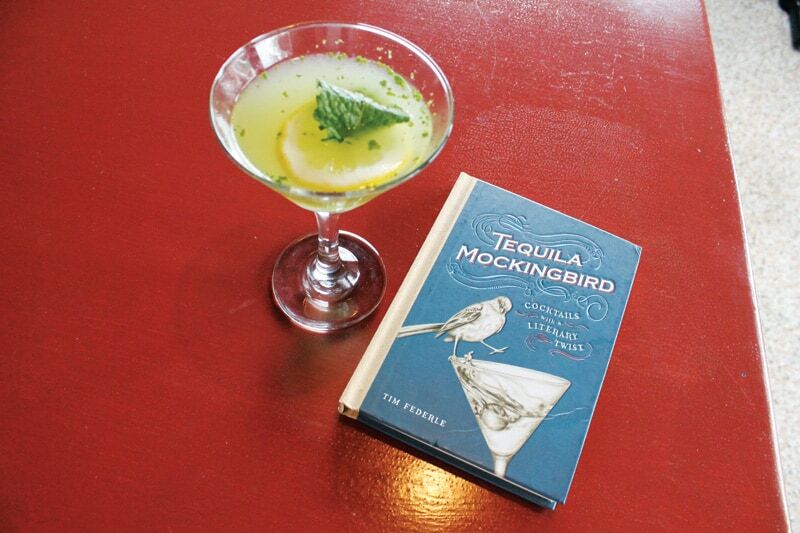 Tequila Mockingbird: Cocktails with a Literary Twist, by Tim Federle (Running Press, 2013), appeals to such booklovers. 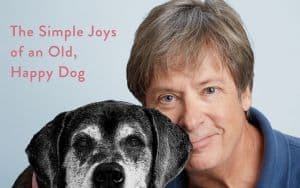 If you suffer from debilitating back pain, odds are you … exercise incorrectly, don’t exercise at all, or once tried to get through Atlas Shrugged. Ayn Rand’s heavier-than-a-toddler dystopian novel, in which much of the general public turns against mounting government regulations, remains a controversial slog today. Why not match this big boy with a similarly shifty ingredient: absinthe. 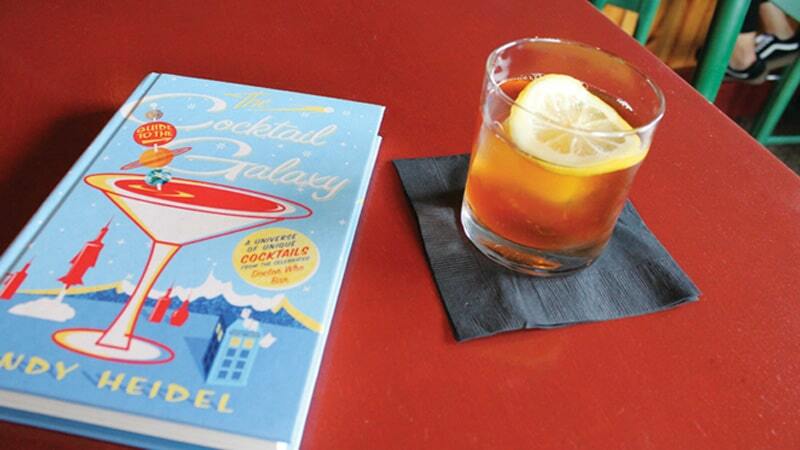 Nerds thrill to cocktails inspired by favorite sci-fi, fantasy and thriller flicks in The Cocktail Guide to the Galaxy, by Andy Heidel (St. Martin’s Griffin, 2017). Heidel is uniquely qualified to write this book, as the author of short stories commended by Ray Bradbury and Harlan Ellison (see Desperate Moon, by R. Andrew Heidel), master mixologist and proprietor of The Way Station, a Dr. Who-themed bar in Manhattan. Scattered throughout the book are anecdotes, trivia, tips, industry insights and quotes, as in Dune’s “Beer is the mind killer. Beer is the little death that brings total obliteration. I will face my beer.” But never beer – I mean, never fear – the fearless quote is accompanied by an easy recipe using a Kölsch or Pilsner and Chambord. Other recipes inspired by nerd favorites include Back to the Future (Flux Incapacitator), Star Trek (Jameson T. Kirk), Star Wars (Sarlacczerac), Game of Thrones (George R.R. Martini), Dr. Who (Dark and Stormageddon) and many more. Pour the liqueur and tequila over ice in a highball glass, then fill to the top with club soda. Now, light a few candles, lock the door, and guard your potion with monosyllabic grunts.